HPSEB Recruitment Notification @ portal.hpseb.in is offering the good Carrer objective for the Interesting Candidates under the governance of the Himachal Pradesh State Electricity Board (HPSEB) Limited for the jobs offering is the 799 Junior T-Mate & Junior Helper Posts. The Offline Applications started on 17th July 2018. The Last date to fill up the HPSEB Application Forms is 18th Aug 2018. All the Intertsrsed and willing contenders can easily get the job in the HPSEB Job vacancies only through the merit List basis. For this, first they have to get the Credentials about the HPSEB Recruitment Notification and they move to the forward Step to fill up the Offline HPSEB Application Forms before the Deadline date of 18th Aug 2018 then only, the candidate’s applications having the chance to shortlist for the sake of getting the Job. HPSEB Recruitment Notification is Providing the employment Chance for the Contenders who having the minimum Matriculation (SSC) or intermediate or any Graduation from the Recognized board or university with the qualifying Marks. 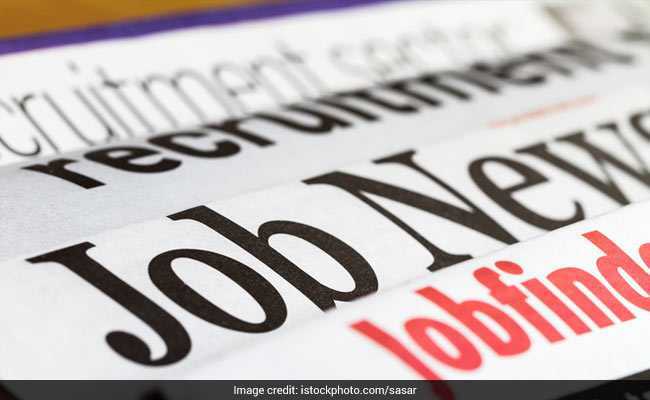 The Himachal Pradesh Government is Given the Lot of vacancies to settle down their Life in the State Government Job by this type of HPSEB Recruitment Notification. So use this opportunity to lead the Good life and then start to fill up the HPSEB Application Forms. If contenders are looking for the More job offer, they can click into the Latest Employment News on our Page. Credentials about the eligibility criteria for the portal.hpseb.in HPSEB Job Vacancies like the educational Qualification, age limit, selection process, vacancy Details application Mode, Application fee and all these types if details all we have mentioned in this Page. To make the candidates know about this particular Information about the HPSEB Job Vacancies in an Easy manner. All the useful links and the Details regarding the HPSEB Recruitment Notification also issued at the end of this Page. If they could know more information, they can refer the Offical Notification @ portal.hpseb.in. Moreover, the HPSEB Job Vacancies are looking for the candidates who have the highest score in the Matriculation Standards. Candidates needed to complete their Matriculation (SSC) or intermediate or any Graduation from the Recognized board or university with the qualifying Marks. Based on the Merit List, the candidates will be selected for the Junior T-Mate & Junior Helper. No other Selection Process will be going to held after the merit List basis. Note 1: ESM=Ex Serviceman, BPL=Below Poverty Line, WFF=Ward of Freedom Fighter, Gen=General, UR=Unreserved, SC= Scheduled Caste, OBC= Other Backward Classes, ST= Scheduled Tribe. Note 2: In the case of Ex. Servicemen quota posts, recruitment will be undertaken by Ex-Servicemen Employment Cell, Directorate of Sainik Welfare, Hamirpur (H.P) AND Director, Youth Services and Sports, Himachal Pradesh, Shimla-2. Selected Candidate will be given the salary starts from Rs. 7175/- per month under the Himachal Pradesh State Electricity Board Ltd strictly as per R&P rules. At Present they are 799 HPSEB Junior T-Mate & Junior Helper Posts are waiting for the candidates. So without any delay register the candidate’s names in the Application Process. Only based on the Merit List the candidates will be given the Posting and the candidates Desirable jobs in the HPSEB Junior T-Mate & Junior Helper Posts. But at the time of Filling the HPSEB Application Forms, they have to select the category whether it is Junior T-Mate or Junior Helper Posts. After the Shortlisting candidates Based on the Capability the Contenders will be appointed for the jobs in the Himachal Pradesh State Electricity Board (HPSEB) Limited Organization. To get the More information, they can visit our @ recruitmentindia.in page regularly. Actually, the Process to fill up the HPSEB Application Form Process @ portal.hpseb.in is the Offline Based. At the Last of this Website, we have given the HPSEB Application Forms, Download it and then fill up the Application Without any Mistake. If they did any mistake in the application, they have to fill out another Application Form. Otherwise, the mistaken HPSEB Application Form Will not able to refer by the Himachal Pradesh Board. The Application Must be fill by either the Blue or Blak Pen Only. The HPSEB Application Fee for the General Category is Rs. 100/- and for remaining Candidates they have to pay the Rs.50/-. The applications received after the end dates will not be accepted. The Board will not be responsible for the delay in receipt of applications due to any reasons what so ever. The Postal Address also Provided for the candidates in order to send their HPSEB Application Form in a Correct manner. so pls tell me t-mate result out witch day pls conforme.